Five years ago, on the fifth day of the fifth month, I published my first post for Grain de Musc (to read, click here). I didn’t know it at the time, but the 5th of May is a highly symbolic date in the history of perfume: it is because her fashion show was to be held that day in 1921 that Chanel is said to have kept N°5 as the name for her first fragrance. Oddly, it was Chanel N°5 that inspired that first post. Or rather, a blotter dipped one month earlier in a 40 year old bottle of N°5, still fragrant with musk… which was the last-minute inspiration for the name Grain de Musc. So much of what my life is today grew out of that little grain of musk. The things I’ve learned. The friends I’ve found. Thank you for having been here these past five years! Somehow, it seemed fitting that I should be invited to the N°5 Culture Chanel exhibition at the Palais de Tokyo two days before this fifth anniversary. Especially since Chanel is what kicked off my perfume writing even before the blog: my very first article about the theme, commissioned by the contemporary art magazine Particules, was about the Exclusives and the way they fractalized Chanel’s heritage. The first perfumer I met, as a result of this article, was Jacques Polge. My first blog post, Musk, the Phantom of perfumery, was about a ghostly presence. 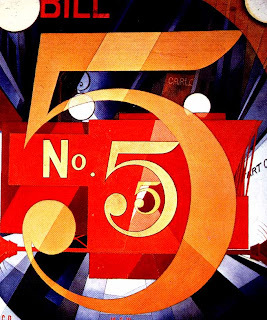 There is also a hint of the phantom in N°5 Culture Chanel since for the curator Jean-Louis Froment, the fragrance is haunted by the reminiscence of Chanel’s great lost love, Boy Capel. If Chanel created perfume, he believes, it was as a way to summon the presence of the love she'd lost (though he admits it's just his own, romantic vision of the story). When he told me that perfume was a way of conjuring the presence of the absent, I replied that perfume is also the future memory of what you’re living now, a phrase he said he’d totally steal. Like the most powerful cultural artifacts – and like perfume, the only form of adornment that penetrates into our very body – Chanel N°5 can also weave itself into individual lives. Being at this exhibition brought together several strands of mine. The Palais de Tokyo, an institution devoted to cutting-edge contemporary art exhibitions, was co-founded by Jérôme Sens and Nicolas Bourriaud, who's been a friend for many years. Nicolas first introduced his relational aesthetics, a notion I think would be much more operational to apply to fragrances than shoehorning them into traditional art history categories, in the catalogue of Traffic, a seminal exhibition he co-curated in 1996 with Jérôme at the CAPC in Bordeaux, an institution founded by none other than… Jean-Louis Froment. I will get back to N°5 Culture Chanel in the next post. Meanwhile, to celebrate the 5th birthday of Grain de Musc, I’d like to do a prize draw. I’d have loved for it to be a bottle of Séville à l’aube, but postal regulations have become too stringent for me to take the risk of sending a full bottle overseas. 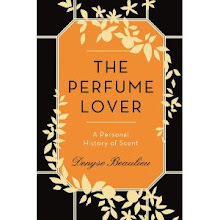 So I’ll have to stick to a draw for an inscribed copy of The Perfume Lover along with a sample of the scent. If you’d like to be in the draw, please leave a comment to tell me which Grain de Musc post(s) struck you most. I’ll compile a list of them in a new post with the links, as a sort of “anthology”. The draw will close on Sunday May 12th at midnight, Paris time. I will announce the winner on Monday May 13th. Just to wish you very many congratulations on your fifth anniversary! And here's to many more. Can I say favourite website instead of a favourite post? Lol's. The Panther one; I will look it up soon. it was about Serge Lutens. In fact there were two panther posts. WIshing you 55555. Whew, you found it faster than me! Now I can say that my least favourite was Perfume, Jewels and the German sociologist. I wanted to understand it, read it several times. It remains beyond my comprehension although I appreciated the challenge. Also loved the reportage of "Experience modifies the perfumer's brain". Not your writing but where else would one have access to or find such information in English. And the one where you tell Chandler; but surely you have to wear perfume not just talk about it! What was that post called please? and Musc Tonkin by Marc-Antoine Corticchiato for Parfum d'Empire: Elegantly Indecent. Congratulations - hard to believe 5 years has gone by. I don't often comment (too many blogs to read to always write) but I have so enjoyed the Iris Gris posts. Loved the original story and subsequent followups. Wishing you 55 more great years! Tiara, thanks! I'm with you on the comments -- I've slacked off as well, otherwise I wouldn't get anything else done! Iris Gris is still a treasured part of my collection. Happy 5th birthday! 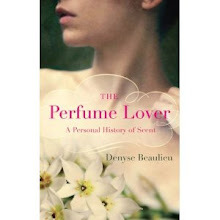 Your blog has been such a powerful source of thoughts, suggestions and ideas about perfume! I can't choose a favourite post, there are so many... and I love the pictures you put at the beginning, they're always so appropriate. Iodine, thank you! Finding the pictures is often a protracted process, almost as long as writing the posts. But it's an opportunity to discover new artists sometimes. Congratulations! Looking forward to many more years of Grain de Musc. 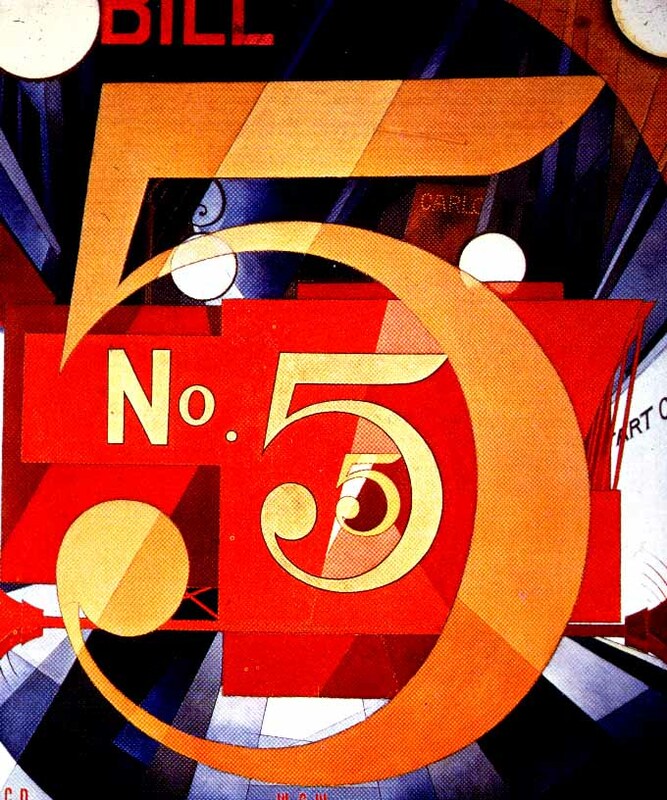 I'm also thrilled by your choice of that Demuth painting, one of my very favorite works of 20th century art! Congratulations Denyse! You were my first inspiration when I started reading blogs. It was your choice of visuals that kept me coming back for more... and it still does... but your texts were superb and they always made me think! What amazes me is the quality of your posts... they get better, tighter... more and more beautiful as the years go on. And.. you've kept it up! So many of us (me included) have dropped the ball so many times! Wow, thanks, Normand! What can I add I haven't said above? Denyse, I don't want to enter the draw because I already have your book and Seville a l'Aube, but I don't want to miss congratulating you and and noting how much I enjoyed this post and the next on the No. 5 exhibit. Thank you, Nozknoz... The "Violent violets" and Lutens interviews came up in the French comments as well. As I am emerging from a brutal work marathon, I'm looking forward to more writing -- it's finally feeling more like a pleasure than an "OMG I've got to feed the blog and don't have the time/energy" set-up... But even the less inspired posts are important, to keep one's hand in!